The Aloha Inn is a resident-managed transitional housing program for sixty-six homeless adults and couples without children. Residents of the Aloha Inn have a chance to save money for permanent housing and get back on their feet. Each resident works fifteen hours per week in the program in exchange for room and board. Residents have a direct role in the daily operations of the program and an opportunity to participate in the governance. Housing Counseling: Assistance in locating and applying for low-income, permanent housing. Employment Assistance: Individual job counseling, resumes, computer training & education, support groups, workshops and job referrals. Counseling: Personal Counseling with a therapist offsite. Drug and Alcohol recovery support: Education and counseling groups and individual sessions onsite. Computer Shop: Job oriented, individual computer skills training for residents committed to the program. Medical Clinic: Students from the University of Washington offer a free clinic every Sunday for all Aloha residents and graduates. Applications are accepted twice a week on Mondays from 10 a.m. to noon and Wednesdays from 4:30 p.m. to 6:30 p.m., only at the Recovery Cafe, 2022 Boren Avenue, Seattle, WA 98121. No applications are available at the Aloha Inn. Please bring a valid, legal photo ID to the application site. 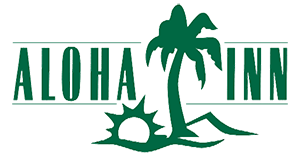 Click here for the Aloha Inn website.